The SWMMBA Trail Crew is an elite group of volunteers who dedicate multiple weekends to deep-backcountry trail clearing, berm buffing, and general maintenance. These folks have donated over 40 hours of trail work per year for multiple years, and have provided the community with accessible trails for years. You can spot them on the trail by seeing their custom uniform, silver represents our dedicated volunteer swampers and orange represents our volunteer sawyers. If you see them on the trail, thank them! Buy them a beer at the brewery or leave a cold one for them at the car, they definitely deserve it! To become a Trail Crew member, please join our volunteer Trail Maintenance Committee and you will be considered the following year. I saw my first mountain bike on the Stateline Trail 738 in the Great Burn around 1982, I was instantly enamored with a better way to travel backcountry trails figuring if I could ride 50% of the time that is 50% off my feet. Purchased my first Mountain Bike shortly thereafter a Shogun Prairie Breaker which I still have. It was the perfect way to travel with my Friends that were on horseback, it was an incredible way to get in and out of hunting camp and an extremely efficient tool for access/game cart to my favorite hunting areas. in the late 90s I started trying to figure out ways to carry a saw for trail clearing tried frame packs, internal frame packs and a bob trailer. In 2005ish I designed an aluminum scabbard for a Hard Tail Cannondale it evolved from there to a scabbard on Salsa Fat Bikes. Super passionate about back country trails and I don’t believe we should lose 1 more inch of back country trail. Lionhead Area Trails have my Heart and protecting bicycle access to them and the CDT from Yellowstone Park to Monida Pass has been an almost all consuming passion for the last 12 plus years, with the formation of MMBA attending hundreds of meetings with land managers and elected officials traveling to DC on more than one occasion, pushing for a National Protection Area for Lionhead and generally making sure everyone that would listen understood a bicycle is just our Horse. The Formation of SWMMBA has been an incredible leap for all of us the that care about bicycle access to wild places, I appreciate this next step in our evolution and am excited about the future of Bicycle access more than ever! The best place to start… Where the road ends and the trail begins. For me, the trails didn’t become a place of clarity, peace and pure happiness until later in my life. On the other hand, the love of two wheels started very early and endless hours were spent riding up and down driveways, popping wheelies, and jumping over friends at a young age. These early days would blossom into a life-long love for riding and everything it encompasses. One time or another we have all been there while out on our local trails or exploring uncharted territory; the feeling of uninterrupted, care-free moments of being completely content and the days challenges take a back seat to living here and now. As we listen to the sounds of the forest, feel the warmth of the sun on our face, and the utter silence atop a mountain; we look out from whence we came and process where we are going. Volunteering has brought a new level of excitement and adventure into my life, typically starting mid-winter over beers with friends and fellow volunteers. We discuss spring mountain biking trips which always leads into plans for trail maintenance and epic days working in the wilderness. These discussions always stir up memories of past adventures and fuels the soul for another year spent in the mountains. Richard Hayes grew up in Summit County, Colorado (Frisco). At a very young age (10) he was given the opportunity to work extensively at a local bike and ski shop. Little did he know this would shape who he is today. Being at the “shop” throughout his grade school career on a day to day basis allowed him to work under some incomparable mentors that taught him everything there is to know about biking, skiing, and work ethic! Trails were a huge part of this. He and his friends all raced cross-country bikes growing up but building Dirt Jumps was their passion! Hi, I am Joey. I was arrested when I was 15 for building dirt jumps with my friends in a small patch of woods in a neighborhood in Glenn Rock, New Jersey. I think we were let go after our parents showed up 20 minutes later. There was nothing really that fun to ride close to home in New Jersey so on the weekends I would visit my friends that biked in different towns and we would find unusable land, often next to power plants or highways, to build ourselves a place to ride. It was never long until the town plowed them down and we would have to find a new spot. I didn’t care that much, however, because I loved creating new things ride. Eventually, when I was able to drive, I started to help out as much as possible at local trail days and a dirt jump park in the Bronx. I was always excited because it was an opportunity for me to create something unique and awesome rather than just ride the same old low angle bench cut or eroded kind-of-berm that would have just been reclaimed by the earth eventually. 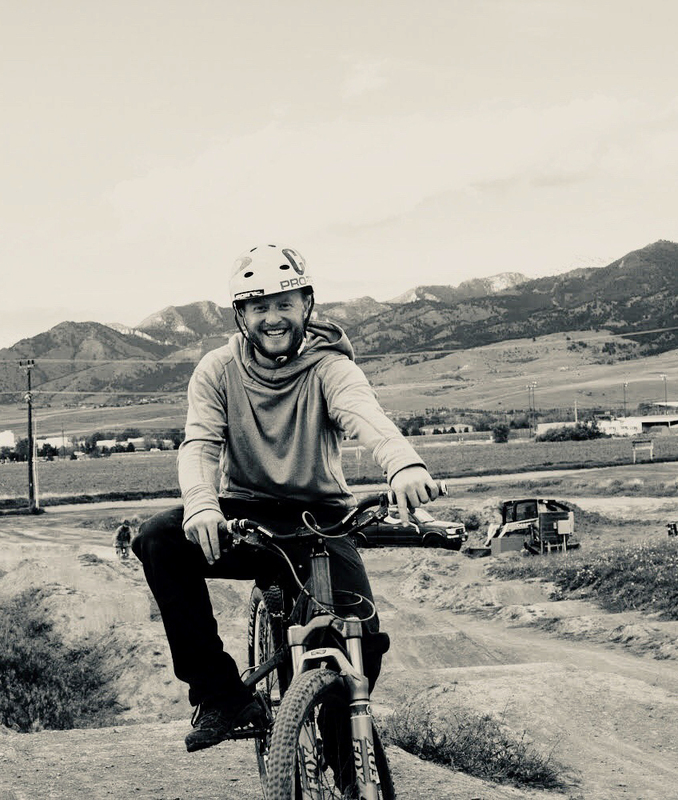 Now that I live in Bozeman, I see a great new opportunity in this rapidly growing bike town to help build unique bike trails and bike parks that aren't just like everything else. My goal is for other bike towns in America to copy us instead of us trying to copy what they do. If you want to improve or build something, just get in touch with SWMMBA and I will meet you there. We have plenty of tools. Tim grew up riding road and bmx in Billings. 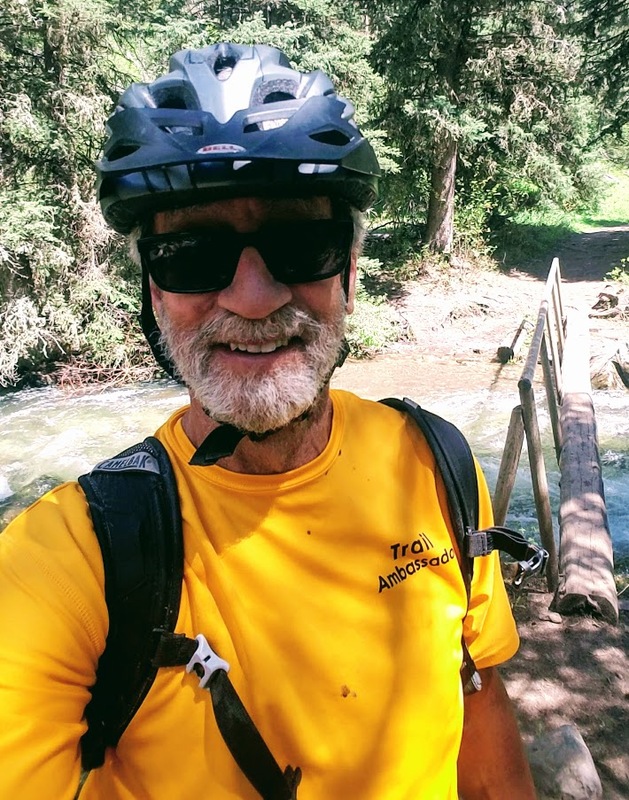 He got his first mountain bike in 1988, and has been trail-obsessed ever since. He’s explored every trail he can find from the Beartooths to the Bitterroot. Tim became involved with access and advocacy in the early 2000’s. He got involved with Friends of Pipestone and the Lewis and Clark Caverns Association, as well as the Montana Mountain Bike Alliance and The Dirt Concern of the Gallatin Valley Bicycle Club. He’s been working for years with the Federal Bureau of Land Management to create new trails. Mountain biking is my go to sport. After meeting Tim Hawke and his ambitious Copper City project, I was anxious to get involved and Tim turned me loose on the sign project at the copper city turnoff. That was a fun job. Next are restrooms, shade and picnic shelter. Copper City exceeded everyone’s expectations, Wonderful trail system! Currently I am working on a trail system west of Helena at the end of Baxendale Rd. My Mom gave me 10 acres on American creek that border forest service and BLM. The pine beetle has killed so many trees in this region. It’s like pickup sticks. I would like to invite folks that would like to get involved with the business end of a chainsaw to lend a hand cutting in some playful trails with me. Really anyone who wants to work on the trail system is welcome! The SWMMBA largely operates on volunteered efforts. This isn’t limited to just our trail building and maintenance, but also our internal operations, coordination, consultations, meetings, and general community presence. Without the generosity of these donors, we would have no SWMMBA, and that cannot be overstated. These guys tweak all the details and allow the organization to keep on growing through their shared vision for what it could be. If you see them around, thank them for us, they deserve it! To join a committee, please apply at the below link, we’ll give you a quick introductory meeting and make sure things are a good fit for everyone involved. Although I’ve long been involved in mountain sports, I was a late arrival to mountain biking. The bug didn’t bite until age 56. I’d always been a lover of trails but didn’t discover the joy of a banked turn until about a dozen years ago. Since then I’ve learned that the only way to enjoy that glorious descent is to appreciate the uphill. Like backcountry skiing, since you spend most of your time going up anyway, you might as well relish it. My involvement with SWMMBA involves “working” (HA!) as a Trail Ambassador - being an information source and modeling good mtnbike trail etiquette. I also volunteer in support of our donor recognition program. See you on the trails! It all started with a Schwinn Stingray and building jumps in a vacant lot. Began riding mtn bikes before suspension. Blended passion for bikes with profession for 30 years. Still enjoying the ride. Why SWMMBA? Low BS to action ratio. “Git’er done” attitude that resulted in Copper City and countless other trail projects completion. Appreciate SWMMBA’s willingness to forge alliances with other trail groups for greater good. Excited to contribute to SWMMBA’s vision for even more trails that integrate with lifestyle of South West Montana. Please join us. Volunteering with SWMMBA will introduce you to trails and fun people that help make this area so special. Trail “work’ isn’t work, it’s actually quite fun. Once you “test ride” a section of trail you worked on you will be hooked. This could be you, click the photo to find out how!